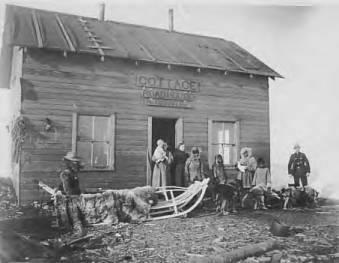 The roadhouses of Alaska are sorted by the routes – trails, roads, and later highways – along which they were located.This listing links to information about each trail or highway at Wikipedia and other informative websites, such as The Milepost. New routes will be added to this page from time to time. Eventually the trails and highways linked below will each have a page on this site which will include maps, photos, and histories of the roadhouses which can be found along that route. It will take some time to find and include them all, but updates will be made as the information is researched and included, and pages and posts will be added to the main site. This Routes page will remain as a general overview. • Chilkoot Trail – The Chilkoot Trail is a 33-mile trail through the Coast Mountains that leads from Dyea, Alaska, in the United States, to Bennett, British Columbia, in Canada. • Dalton Trail – The Dalton Trail is a 246-mile trail that runs between Pyramid Harbor, west of Haines, Alaska in the United States, and Fort Selkirk, in the Yukon Territory of Canada, using the Chilkat Pass. • Iditarod Trail – The Iditarod Trail was a trail that connected a point 50 miles north of Seward, Alaska, where a forerunner of the Alaska Railroad ended, through Iditarod, Alaska and then to Nome. The trail was about 1,150 miles long. 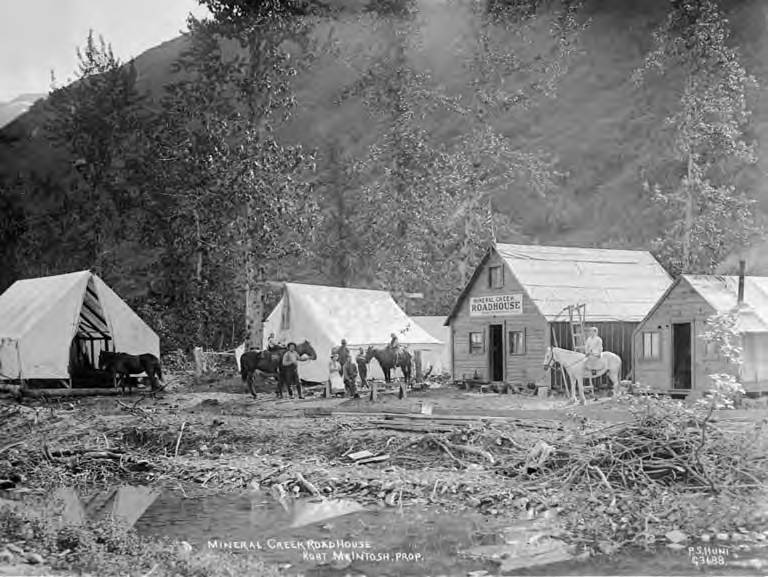 • Stampede Trail – The Stampede Trail began as the “Lignite to Kantishna” mining trail blazed in 1903 by prospectors drawn to the Kantishna region by the discovery of placer gold. 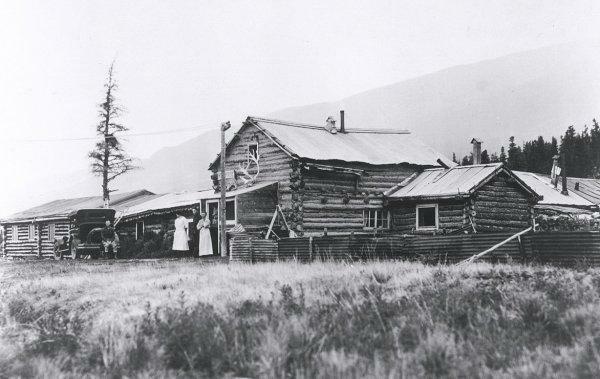 – Valdez-Eagle Trail – Early trailblazers were determined to find a safer, more efficient route, and in 1899, under the jurisdiction of U.S. Army Lt. William P. Abercrombie, surveyors began work on a trail from Valdez to Eagle City. Destitute prospectors labored along with the soldiers to finish the trail by 1901. It became known as the Trans-Alaska Military Road or the Valdez-Eagle Trail. 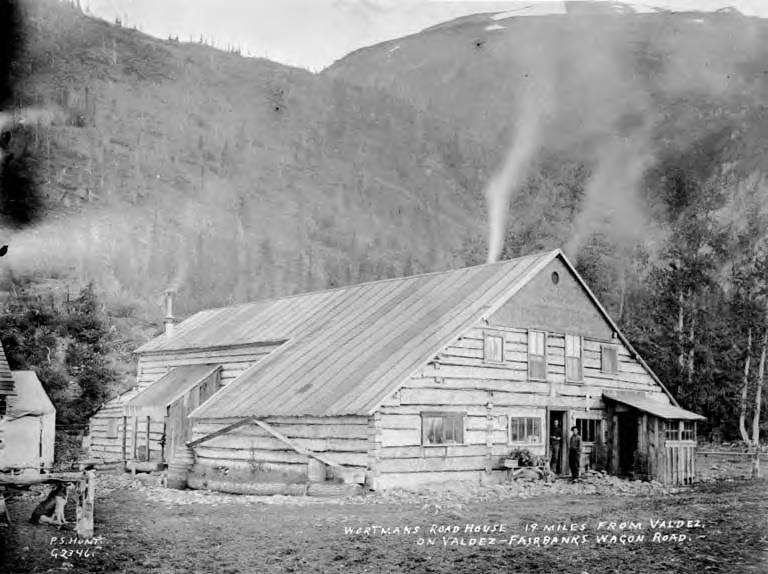 – Valdez-Fairbanks Trail – Hundreds of prospectors bound for the Interior made use of a fork off the Valdez-Eagle Trail that was known as Castner’s Path or the Valdez Trail. 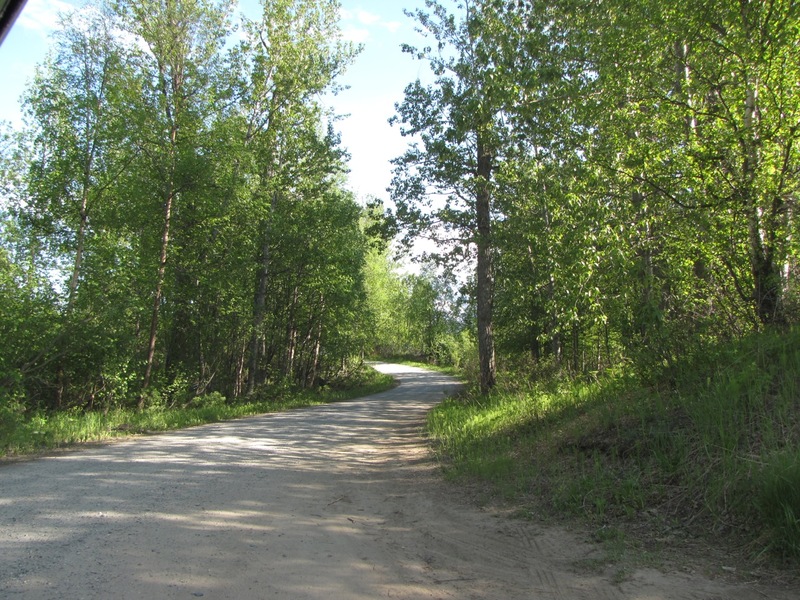 By 1907 that portion was incorporated into the well-traveled Valdez-Fairbanks Trail. • White Pass – White Pass also known as the dead horse trail, is a mountain pass through the Boundary Ranges of the Coast Mountains on the border of the U.S. state of Alaska and the province of British Columbia, Canada. It leads from Skagway, Alaska to the chain of lakes at the headwaters of the Yukon River, Crater Lake, Lake Lindeman and Bennett Lake. • Steese Highway – The Steese Highway extends 161 miles from Fairbanks to Circle. The highway was completed in 1927 and is named for U.S. Army General James G. Steese, a former president of the Alaska Road Commission.